In these days of budget cuts and sequesters, it's especially important that NASA gets the most for its money, and so the agency will restart using the decommissioned Wide-field Infrared Survey Explorer (WISE) telescope as part of its quest to map the heavens for asteroids. The WISE telescope was originally lofted into orbit in December 2009 to snap the entire skyline with its 40-cm (16-inch) telescope. After filing over 2.7 million images in multiple infrared wavelengths and cataloging more than 560 million objects, the cryogenic hydrogen fuel it used to cool its infrared sensors ran out a year later. A year after that, the telescope was reassigned as the Near Earth Object Wide-field Infrared Survey Explorer and found 21 comets, more than 34,000 asteroids in the main belt between Mars and Jupiter, and 135 near-Earth objects using its uncooled instrumentation, before being put into hibernation mode in February 2011. 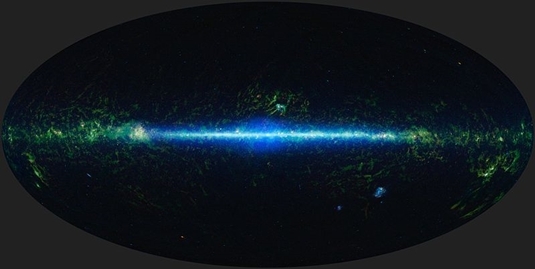 Now, thanks to a recent NASA grant, it's coming back online. "The WISE mission achieved its mission's goals and as NEOWISE extended the science even further in its survey of asteroids," said John Grunsfeld, NASA's associate administrator for science, in a statement. "NASA is now extending that record of success, which will enhance our ability to find potentially hazardous asteroids, and support the new asteroid initiative," he said. "Reactivating WISE is an excellent example of how we are leveraging existing capabilities across the agency to achieve our goal." 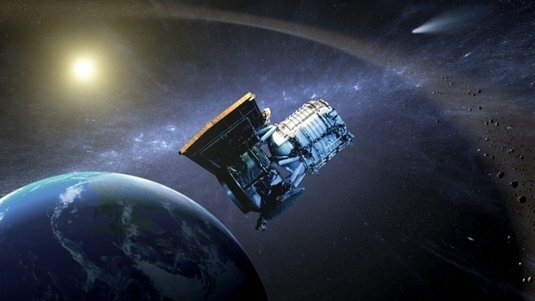 The new mission is an extension of the earlier NEOWISE mission, and will see the telescope once again oriented to take a broad snapshot of the space around Earth. Data received will be matched against optical telescopic findings in an attempt to find more bodies which will fly by – or into – our planet. "The team is ready and after a quick checkout, we're going to hit the ground running," said Amy Mainzer, NEOWISE principal investigator at NASA's Jet Propulsion Laboratory.